The quadrilateral had its genesis in an 1870 essay by the American Episcopal priest William Reed Huntington. The four elements were held to establish "a basis on which approach may be by God's blessing, made toward Home Reunion", that is, with the Roman Catholic and Orthodox churches. A ministry acknowledged by every part of the Church as possessing not only the inward call of the Spirit, but also the commission of Christ and the authority of the whole body. According to Michael Ramsey this conciliatory presentation aroused a great readiness to discuss reunion, but later declarations were more qualified and therefore frustrating for free churchmen. The quadrilateral has had a significant impact on Anglican identity since its passage by the Lambeth Conference. The resolution came at a time of rapid expansion of the Anglican Communion, primarily in the territories of the British Empire. As such, it provided a basis for a shared ethos, one that became increasingly important as colonial churches influenced by British culture and values, evolved into national ones influenced by local norms. At the same time, it has been the locus of fervent debate, especially over its third and fourth points. The first point, concerning what Anglicans call "the sufficiency of Scripture", takes its language directly from Article VI of the Thirty-Nine Articles, foundational to Anglican scriptural exegesis and hermeneutics since the sixteenth century. As such, it has been widely accepted as written. Similarly, the second point describes the sine qua non of Catholic faith since antiquity, and so likewise has enjoyed broad acquiescence. To the extent that it has been controversial, the controversy has centered entirely on those parts of the Communion that have sought to expand a sufficient statement of faith to include other formulae. The third point has been controversial among some Anglicans as being inappropriately limited. In particular, many Anglo-Catholics have maintained that the five other sacraments should be included as essential marks of the Church (see Anglican sacraments). By far, the most controversial point has been the fourth, which many believe could open the door to challenging the Church's episcopal tradition of apostolic succession. The Chicago-Lambeth Quadrilateral has also been important to ecumenical dialogue. In this context, it had been helpful in consultations between the Anglican and Roman Catholic communions and between certain Anglican ecclesiastical provinces and national Lutheran organizations. Apostolicae curae is the title of a papal bull issued in 1896 by Pope Leo XIII declaring all Anglican ordinations to be "absolutely null and utterly void". It has been described as an early Catholic response to the ecumenical efforts of the Chicago-Lambeth Quadrilateral. The quadrilateral has also proved a stumbling block, however, as in the discussions between the Anglican Church of Canada and the United Church of Canada, between the Church of England and the Methodist Church of Great Britain, and between the Church of England and other free churches, all of which broke down largely due to the issue of episcopacy. ^ Fuchs 2008, p. 95; Haugaard 1998, p. 42. ^ Haugaard 1998, p. 42. ^ Episcopal Church 2007, pp. 876–877. ^ Davidson 1920, pp. 27, 122–123. ^ Davidson 1920, pp. 122–123; Episcopal Church 2007, pp. 877–878. ^ Dalferth 1997, p. 45. ^ Evans & Wright 1991, p. 387. ^ Ramsey 1960, p. 121. ^ Hein & Shattuck 2004; Pierce 2009, pp. 78–79. ^ Wells 2011, p. 39. ^ Tucker 1986, p. 100. ^ Methodist Church of Great Britain & Church of England 2001, p. 8. Dalferth, Ingolf (1997). "Ministry and the Office of Bishop according to Meissen and Porvoo: Protestant Remarks about Several Unclarified Questions". Visible Unity and the Ministry of Oversight: The Second Theological Conference held under the Meissen Agreement between the Church of England and the Evangelical Church in Germany. London: Church House Publishing. pp. 9–48. ISBN 978-0-7151-5755-8. Davidson, Randall T., ed. (1920). The Five Lambeth Conferences. London: Society for Promoting Christian Knowledge. Retrieved 9 September 2017. Episcopal Church (2007) . Book of Common Prayer. New York: Church Publishing. Retrieved 9 September 2017 – via Wikisource. Evans, G. R.; Wright, J. Robert (1991). The Anglican Tradition: A Handbook of Sources. London: Society for Promoting Christian Knowledge. Fuchs, Lorelei F. (2008). Koinonia and the Quest for an Ecumenical Ecclesiology: From Foundations through Dialogue to Symbolic Competence for Communionality. Grand Rapids, Michigan: William B. Eerdmans Publishing Company. ISBN 978-0-8028-4023-3. Haugaard, William P. (1998). "The History of Anglicanism from the Early Eighteenth Century to the Present Day". In Sykes, Stephen; Booty, John; Knight, Jonathan. The Study of Anglicanism (rev. ed.). London: Society for Promoting Christian Knowledge. pp. 3ff. ISBN 978-1-4514-1118-8. Hein, David; Shattuck, Gardiner H., Jr. (2004). The Episcopalians. New York: Church Publishing. ISBN 978-0-89869-497-0. Methodist Church of Great Britain; Church of England (2001). An Anglican–Methodist Covenant: Common Statement of the Formal Conversations between the Methodist Church of Great Britain and the Church of England (PDF). Peterborough and London, England: Methodist Publishing House and Church House Publishing. ISBN 978-1-85852-218-0. Retrieved 9 September 2017. Pierce, Andrew (2009). "Comprehensive Vision: The Ecumenical Potential of a Lost Ideal". In Thiessen, Gesa Elsbeth. Ecumenical Ecclesiology: Unity, Diversity and Otherness in a Fragmented World. London: T&T Clark. pp. 76–87. ISBN 978-0-567-00913-5. Ramsey, Arthur Michael (1960). 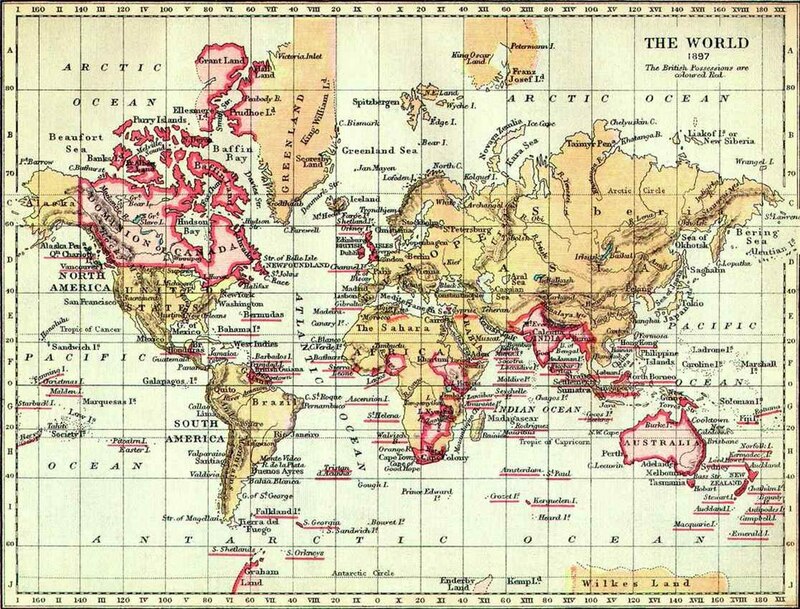 From Gore to Temple: The Development of Anglican Theology between Lux Mundi and the Second World War, 1889–1939. London: Longmans. Tucker, Ansley (1986). "The Historic Episcopate in Anglican Ecclesiology: The Esse Perspective". Consensus. 12 (1): 99–115. ISSN 2369-2685. Retrieved 9 September 2017. Wells, Samuel (2011). What Episcopalians Believe: An Introduction. Harrisburg, Pennsylvania: Morehouse Publishing. ISBN 978-0-8192-2310-4. Draper, Jonathan (1988). Communion and Episcopacy: Essays to Mark the Centenary of the Chicago-Lambeth Quadrilateral. Cuddesdon, England: Ripon College Cuddesdon. ISBN 978-0-9513611-0-8. Huntington, William Reed (1870). The Church-Idea: An Essay towards Unity. New York: E. P. Dutton and Company. Retrieved 8 September 2017. Morris, Edwin (1969). The Lambeth Quadrilateral and Reunion. London: Faith Press. ISBN 978-0-7164-0145-2. Whipple, H. B.; Gilbert, M. N.; Nichols, Harry P.; Wright, John; Faude, John J.; Ten Boeck, Wm. P. (1896). Unity and the Lambeth Declaration. Milwaukee, Wisconsin: The Young Churchman. Retrieved 8 September 2017 – via Project Canterbury. Wright, J. Robert, ed. (1988). Quadrilateral at One Hundred: Essays on the Centenary of the Chicago-Lambeth Quadrilateral, 1886/88–1986/88. Cincinnati, Ohio: Forward Movement Publications. ISBN 978-0-264-67178-9. The Anglican Communion Primates' Meetings are regular meetings of the primates in the Anglican Communion, i.e. the principal archbishops or bishops of each (often national) ecclesiastical province of the Anglican Communion. There are currently 38 primates of the Anglican Communion. The primates come together from the geographic provinces around the world. As primus inter pares of the communion, the Archbishop of Canterbury chairs the meetings, with the Secretary General of the Anglican Consultative Council (ACC) serving as secretary. The Primates' Meeting was established by Donald Coggan, Archbishop of Canterbury, in 1978 as an opportunity for “leisurely thought, prayer and deep consultation”. The first meeting was held in 1979. Although they are not considered members, some non-Anglican bodies have entered into communion with the Communion as a whole or with its constituent member churches, despite having non-Anglican origins and traditions, such as the Old Catholic Church and Lutherans of the Porvoo Communion, Mar Thoma Syrian Church, the Evangelical Lutheran Church in America, and the Evangelical Lutheran Church in Canada. Anglican–Roman Catholic dialogue is the historical communication between the Anglican Communion and the Roman Catholic Church, through their ecumenical relations. These were notably shaped subsequent to the Second Vatican Council (1962–1965). The Christian Communion International is a family of Christian churches and worship communities around the world - formed largely as a result of the Convergence Movement - with church networks in Africa, South America, Asia, North America and Europe. There are approximately 200,000 members. More than 2,000 ministers are serving in local worship communities and chaplaincies. The International Ceremonial Seat of the Primate is Jerusalem. The administrative offices of CCI, Province USA, are located in Sparta, Tennessee. The Federation of Anglican Churches in the Americas (FACA) is an association of six Anglican jurisdictions with nearly 600 parishes in the New World. The Federation, which was founded in 2006 to enable a closer association of these and other jurisdictions, does not include any provinces of the Anglican Communion. The vision of FACA is stated as being "faithful Anglican Churches working together in communion to fulfill the Great Commission." The Patron of FACA is Bishop Gregory Venables of the Anglican Church of South America. He is not a member of any of FACA's six constituent denominations. These denominations include the Reformed Episcopal Church, a founding jurisdiction of the Anglican Church in North America, two ministry partner bodies, the Anglican Province of America and the Diocese of the Holy Cross, and the Anglican Mission in the Americas, an initial full member but a ministry partner since December 2011. FACA members agree to "hold to the primacy of Holy Scripture, the Ecumenical Creeds and Councils, adhere to the Thirty-Nine Articles of Religion, and the principles of the Chicago-Lambeth Quadrilateral." Members cooperate in federation while each uses its own version of the Book of Common Prayer and exercises its own autonomy. As the Anglican Communion is an international association of autonomous national and regional churches and not a governing body, the Lambeth Conferences serve a collaborative and consultative function, expressing "the mind of the communion" on issues of the day. Resolutions which a Lambeth Conference may pass are without legal effect, but they are nonetheless influential. So, although the resolutions of conferences carry no legislative authority, they "do carry great moral and spiritual authority." "Its statements on social issues have influenced church policy in the churches. "These conferences form one of the communion's four "Instruments of Communion". Louis Berkhof notes that Reformed theologians have differed as to the number of marks: Theodore Beza spoke of only one (preaching), John Calvin and Heinrich Bullinger spoke of two (preaching and sacraments), while Peter Martyr and Zacharias Ursinus spoke of three – preaching, sacraments and discipline. Nevertheless, Edmund Clowney points out that Calvin "included discipline in the proper observance of the sacraments." Albert Mohler calls church discipline the "missing mark" of the church. Primates in the Anglican Communion are the most senior bishop or archbishop of one of the 39 churches of the Anglican Communion. The Church of England, however, has two primates, the Archbishop of Canterbury and the Archbishop of York. A quadrilateral, in geometry, is a polygon with 4 sides. Quadrilateral Security Dialogue, a strategic alliance of the United States, Japan, Australia and India within Asia. Quadrilateral Treaty, a pact between the Argentine provinces of Buenos Aires, Santa Fe, Entre Ríos and Corrientes, signed on 25 January 1822. Thomas Hubbard Vail (October 21, 1812–October 6, 1889) was the first Episcopal Bishop of Kansas. William Reed Huntington (September 20, 1838 – July 26, 1909) was an American Episcopal priest and author.